It's common in some countries, such as those in Asia and the Middle East, to get free housing if you're a teacher. There are advantages and disadvantages to getting free housing. 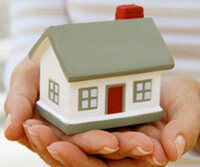 You might be also interested in reading the pros and cons of getting a housing allowance. The school takes care of stuff for you so you don't have to deal with the landlord. Your boss may have access to your house. You can't choose your own housing or where it's located. There's less separation between your work and your personal life. You have to rely on your boss to fix any problems.